Late yesterday we saw the Media: 1st Reported Microcephaly Case With Possible Zika Link In Cabo Verde, and today we have (h/t Pathfinder on FluTrackers) a link and a translation of the Cabo Verde MOH statement. As suspected yesterday, the restrospective diagnosis of Zika infection was made from the patients recollection of a Zika-like illness during her pregnancy. Lab tests are pending. Previously 44 of 165 pregnant women with suspected Zika infection in Cabo Verde had given birth, with no indication of microcephaly. Given the outbreak began in October, most of those would already have been in their 2nd or 3rd trimester when infected. Women infected during their first trimester, between November and January, won't come to full term until mid-to-late summer. While this case obviously raises concerns, there is a lot of evidence that must be gathered and analyzed before any conclusions can be reached. The Zika epidemic underway in the country was officially declared on 22 October 2015, after confirmation laboratory of the etiologic agent of fever by Zika virus. From this period until the date of March 6, 2016 were reported a total of 7457 suspected cases of Zika in parents. Local transmission occurred in the country's four islands: Santiago, May. Fire and Boavista. 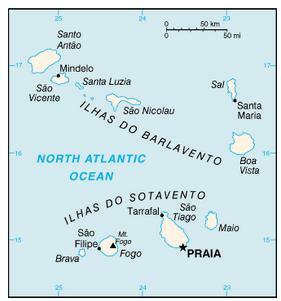 currently still cases occur on the islands of Santiago and Fogo (São Filipe). 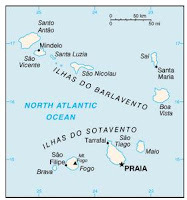 The islands of Maio and Boavista not reported cases in recent weeks. During the epidemic were registered 165 pregnant women with suspected infection zika virus. To the second week of March 2016 were reported births to 44 pregnant (27%), and in any case if the children were considered to have a clinical condition compatible with microcephaly. no also reported cases of Guillain Barré Syndrome (GBS). The evolution of the epidemic has been considerable decrease in the number of suspected cases, and this resolution phase of the epidemic, a decrease in the order of over 25 times compared with the peak the epidemic that occurred in mid-November 2015. Pregnant and follow-up of cases of microcephaly and also cases of SGB. g) and the development of measures for the promotion of research and medicine and vaccines. On March 14 the birth of a child has been reported with clinical and epidemiological evidence microcephaly in Praia. Resulting from a full-term pregnancy, a mother referred retrospectively have manifested signs and symptoms compatible with an infection zika virus. During the course of the disease the lady did not seek health services. And during the prenatal made no reference the previous clinical picture. The child was notified within the established surveillance for pregnant for health services. This occurrence has been notified to the WHO under the International Health Regulations. Biological samples were collected for shipment to the laboratory corresponding to the network of WHO Collaborating Centres for laboratory confirmation of both the mother and child infection. In the context of the DNS Technical Guidelines - 002/2016, the child will be followed in pediatric consultations and pediatric neurology, associating other specialties to precociously stimulate the development of some capacity and child's basic autonomy. Following the guidelines DNS techniques - 002/2016, the recommendations of the day of the WHO Emergency Committee March 8, all health facilities are geared to more rigorous monitoring, regular and accompanied by interpersonal communication with pregnant during pre -Christmas. In delivery rooms, all children born to mothers with suspected or not of infection zika viruses are rigorously evaluated to rule out any abnormalities. And for all pregnant women with suspected infection zika virus and who had children without any complications, yet the health structures are oriented to follow these children for a minimum period of 24 months. The all pregnant with suspected infection zika viruses are collected biological samples for laboratory study of their HIV status. The media are disclosed information on individual and collective protection measures to prevent exposure to the mosquito vector zika. For the general population remain valid previous recommendations of individual and collective protection measures: at home, in the vicinity of the house and in the localities. These measures include the elimination of vessels and containers that serve as mosquito breeding sites; the garbage disposal; among other measures. And recommended to the population before signs and symptoms consistent with infection by viruses zika seeking health services.